Presented by Chris Smith, Dominic Ford. Earwax from a blue whale has enabled scientists to reconstruct the lifetime hormone levels, development, maturation and exposure to environmental toxins of a blue whale. The young animal, estimated to have been about 12 years old when it died, was the victim of a collision with a ship off the coast of Santa Barbara in California. Scientists recovered the body and were able to study it in detail, including conducting an analysis of a structure called the earplug. Over time, just like humans, whales produce a build-up of wax or cerumen in their ear canals. This accumulates in layers, like tree rings, enabling the animal to be aged. 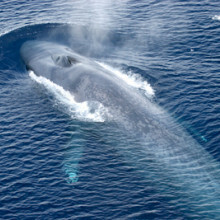 Now Baylor University scientist Stephen Trumble and his colleagues, writing in PNAS, have successfully extracted from each of the "tree rings" of the 25cm long earplug from their whale traces of hormones, including testosterone and the stress-signal cortisol, as well as environmental contaminants, like DDT and its breakdown products, and mercury. These substances are deposited in the layers of wax from the bloodstream, enabling the scientists to assemble a profile for each of these chemicals over the lifetime of the whale. This is the first such a time course has been generated for blue whales and reveals periods when the animal was stressed, abrupt mercury peaks presumably coinciding with the whale feeding on contaminated plankton in certain geographies and a slow rise in testosterone to age ten and then a surge as the whale matured. These findings add clarity to previous observations and speculations about blue whale physiology, which, because these animals are so rare, is notoriously hard to study. The team also point out that there are many earplug specimens similar to the one they analysed here in museums. Analysed in the same way, these could provide a valuable glimpse into the realms of the world's largest animal, and perhaps point towards better ways to conserve a species on the brink of extinction. The Curiosity rover has found no evidence of methane in Mars's atmosphere, making it less likely to life lurks beneath its surface. The latest of NASA's rovers to explore the red planet Mars has suggested its less likely than previously thought that microbial life may be lurking beneath the planet's surface. The Curiosity rover touched down on the Martian surface in August 2012, and since then it has been taking regular samples of the air around it, monitoring its composition. Although we've known for over a century that carbon dioxide is the principal constituent of the Martian atmosphere, there's been much debate about what other gases might be present in trace quantities. Over the past decade, planetary scientists have been especially interested by evidence from ground-based telescopes and orbiting spacecraft, suggesting that plumes of methane could be seen rising from certain geographic structures on Mars's surface. This was a surprise, as more than 90% of the methane in the Earth's atmosphere is produced by biological rather than geological mechanisms. 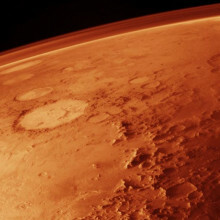 For scientists hoping that the depths of the Martian soil might provide an environment where microbial life such as bacteria could thrive, this was very exciting news. However, the result has always been somewhat in doubt. Methane molecules survive for hundreds of years in the Earth's atmosphere, and models of Martian weather suggest that plumes of the gas would spread around its whole globe within a few years. If there were regions of the Martian surface spewing out plumes of methane, the whole planet's atmosphere would be expected to be rich with the accumulated emissions of the gas over hundreds of years. Writing in the journal Science this week, Christopher Webster from the Jet Propulsion Laboratory and his colleagues on Curiosity's Science Team report that the Curiosity rover has found no evidence for methane in the air that it has sampled over the past year. These measurements are almost certainly more trustworthy than the previous claimed detections of methane, since Curiosity is actually able to sample Martian air directly, rather than looking at it from afar. The questions remains, though, as to what the orbiting spacecraft were seeing, if it wasn't methane gas. The parasite toxoplasma stops mice being afraid of cats, but what happens when the parasite is removed? Chris - About a third of people around the world are infected with the parasite toxoplasma. This could be picked up from undercooked meat or contact with soil that has been contaminated with cat faeces. 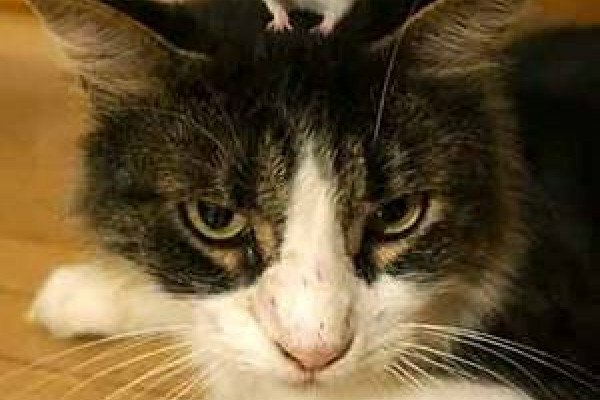 There are a range of health consequences for humans, but when mice are infected, it alters their behaviour and makes them lose their fear of cats. But does eliminating the parasite from the cat's body reverse this effect? Wendy Ingram is at the University of California at Berkeley - she did the work. Hello, Wendy. Chris - So, why does toxoplasmosis, the parasite toxoplasma, affect mice like this? Wendy - Well, the parasite naturally wants to be in a cat. The cat is its primary host and it's in the cat gut where it's able to sexually reproduce and create billions of infectious cysts that then can go on and move throughout the environment and soil or water, and spread much better than if when it's infecting any other mammal or bird. Like a mouse, it can only move from one animal to one animal. So, cats are the target locations for these brain parasites. And in order for it to complete its life cycle, once it's in a mouse or a rat, it means that mouse or rat to be eaten by a cat. So, the behaviour manipulation is a perfect way for this parasite to get to its target location. Chris - So, by changing the behaviour of the mouse and making it lose its fear of cats, because mice are normally very scared of the smell of cats, then it increases the chance that a cat will eat the mouse and then the parasite will go back into the cat where it wants to go. Wendy - Correct, yes. That's precisely right. Chris - So, what's the big question that you're trying to answer with your research? Wendy - Well, we were very interested in how this brain parasite is manipulating mammalian fear. There are so many different things we could learn about: either the mouse brain, fear in general. Also, so many people are infected with this brain parasite. We don't really know what implications it might have on our behaviour. These are all just open questions. So, looking at it from a basic science standpoint, we want to know more. And so, for this particular study, we wanted to use a parasite that is weakened. It's not a normal parasite and it doesn't form cysts in the brain and we wanted to see what kind of effects that had on the behaviour of mice. And if the animals were able to recover from the infection and no longer - the parasite can disappear from the immune system working well, the behaviour effects go away as well. And we very surprisingly found that that wasn't the case. Chris - So, you take some mice, you infect them the same way as they would be infected normally with toxoplasma and do they initially when infected, even though this thing doesn't last for a lifetime in their brain, does it change their behaviour nonetheless and make them initially frightened of cats or lose their fear of cats rather? Chris - And then when the parasite leaves the body, for some reason, that altered fear remains with the mouse afterwards? 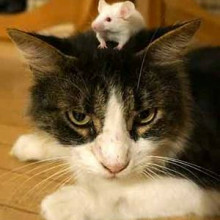 Chris - Do you have any theories as to how the parasite is therefore changing the brain of the mouse, so that it is when it's first infected, able to lose its fear of cats? Wendy - Well, you can imagine a number of different ways in which either most simply, the parasite is somehow able to go in to the olfactory system, the smell part of the brain and maybe target the specific neuron that's responsible for smelling cat urine. Basically, they no longer smell the cat, so therefore, they're no longer afraid of the cat. We don't think that that's the case. The olfactory system does seem to be pretty good still. In the mice, we used a test called 'The Hidden Cookie Test' where we did exactly what it sounds like we did. We hid a cookie under some bedding and then see if the mice can find it and they do. Another way that it could be affecting the brain in a permanent way would be if the parasite somehow is creating an immune response that the immune system changes permanently and the parasite doesn't have to persist. It gets in to nitty-gritty detail pretty fast, going into that theory, but that's the one that I'm going to be following up on - looking at the mouse immune system. Chris - So, what are the implications then for humans because with so many of us being infected, we're mammals too - we know these organisms, toxoplasma gets into our brains as well when we're infected. We know some people have suggested there might be a link with mental illnesses including things like Schizophrenia. Does this suggest then that even if we treated people for toxo, there might be some kind of legacy effect just through having been infected at some time? Wendy - Yes, absolutely. So the researchers who are studying this potential link between Schizophrenia and toxoplasma have suggested that all we need to do is figure out how to cure the parasite. Get rid of the parasite and we'll cure Schizophrenia. It's kind of a bit of a brazen statement and this study really showed that that may not be true, that we may have these longstanding changes in the neurobiology that are not curable just like getting rid of the initial cause. Chris - Which is a bit of a worry, but at least you've warned us about it. Wendy, thank you very much. That's Wendy Ingram. She's from the University of California at Berkeley and she published the work she was describing there this week in the journal PLoS ONE. Google have teamed up with the Raspberry Pi Foundation to get make software development tools available to children. T he internet search giant Google has teamed up with the Raspberry Pi Foundation to encourage more children to start programming computers from an earlier age. 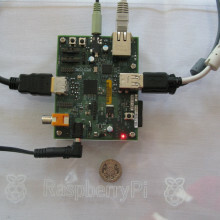 Last year, the Raspberry Pi Foundation launched their Raspberry Pi computer, with a price tag as low as £35, with the aim that it should be cheap enough to make a suitable present for children, and that users could be adventurous with without fear of breaking a very expensive piece of equipment. Many technology companies have identified a problem that while computer literacy is a high priority for school curriculums, the skills taught are for office tasks such as word processing, rather than the programming skills that are needed to develop new software and technology. They are keen to ensure that as many children as possible have the chance to consider computer programming as a possible professional career. This week, Google has thrown its support behind the Raspberry Pi Foundation's initiative by releasing a free tool called Coder, which allows Raspberry Pi users to develop simple web-based programs using a development environment similar to that used by professional development. Already, Google have sent out 15,000 free Raspberry Pi computers to schools around the UK, to give as many as possible the chance to set up computer clubs which can make use of them. The idea is to give children a flavour of how large professional websites work, but also to see the kinds of tools that real developers use to get them up and running. Timed to coincide with the start of the new school year, it's hoped that the new software will soon be in use across the country, helping children to understand how the web works. And, even if you're too old to be in a school computer club, if you want to give it a try, the software is available to all for free download from Google's website. Dominic - One of the biggest and first established of these Citizen Science projects was the astronomy website, 'Galaxy Zoo'. So, I caught up with Karen Masters from the University of Portsmouth who is the Project Scientist for this site. Karen - Galaxy Zoo is basically a website. It's a place where you can go and look at images of galaxies that have been taken in large astronomical surveys. It shows a picture of the galaxy and asked a series of simple questions about what you see and you enter that information. Then the galaxy, the science team and those of us behind the site take those information. We collect typically 20 to 40 answers for each image and we used that information to figure out what is the most likeliest thing that that galaxy looks like, the most likely type of galaxy that that is. And that's a piece of information we can use to study galaxy evolution to try to understand how galaxies fit into the universe, how they change and evolve, where they came from. Dominic - Now, we hear a lot about very sophisticated computer algorithms for recognising features and images. Are your volunteers really better than what computers could do? Karen - Actually, yes they are. Billions of years of evolution have made humans extremely good at pattern recognition. It is extremely hard to teach a computer to recognise the kinds of patterns that humans recognise every day. It's not to say that computers might not catch up, but in fact, the galaxy zoo information has been used already and is continuing to be used to help train computers get better at classifying galaxies. But right now, there's really nothing that is as good as a person looking at a picture and saying, "That's what I see." Dominic - I suppose the first challenge you faced when you set this up must've been finding a big pool of volunteers to give you this data. How did you go about finding people? Karen - We initially started with a million flow of images. And the thought was that, if we put up those million images, we might get a few thousand people interested and eventually, over a period of a few years, you'd get one classification per galaxy. With the launch of this site, this was in 2007 and it was big news then to launch a citizen science website. And so, the news that this site was going live. It was covered on the BBC website and it was immensely popular immediately. In fact, it surpassed everyone's expectations. Those 1 million galaxies were classified 40 times over in 18 months. It sort of got to a point where we had these 40 classifications of the galaxy. It sounds like overkill, but we've learned that that's extremely helpful because that allows us to use those information to work out, not only the most likely type of galaxy, but how likely, and how confident people are. Because if everyone says the same thing, it's obviously easy. But if there's some disagreement, that's a piece of information we can use to measure how confident we are in the classification. Dominic - You said you got the initial boost from the BBC website. How many users are now involved in Galaxy Zoo? Karen - Well, Galaxy Zoo, because it was so successful, it inspired the creation of something that became called The Zooniverse. Zooniverse is the collection of similar projects. So, the things they have in common are, that they show data to people over the internet. That's either images or audio or movies. Some kind of data where humans are better at extracting information from that data than a computer would be. So, there's a whole variety of different universe project is not only astronomy now but also looking at animals in the Serengeti. To classify in any of those projects, you now become a member of the Zooniverse and there are over 860,000 people who sign up for an account at the Zooniverse. Dominic - So, that's quite an incredible army of volunteers you've got there. How did you pick all of these projects for Zooniverse? Do academics come to you and say, "I've got this research problem. Could you ask your army to help with it?" Karen - Yeah, that's exactly right. The Zooniverse has sort of an ethos for what makes a good Zooniverse project. There's a proposal system now. It's a funded project. So, it's proposal system for researchers to come in and suggest good projects. We're also always sort of on the lookout for things that sound like they could be cool. There was a new one launched just this week, looking at images of plankton from under the water. I mean, the common factor of all of these zooniverse projects and the ethos is that, these are projects that have a real science question behind them. So, you're doing real science online, you're contributing to threal science. So, it's data or information that is not easy to process with a computer, can't be looked at by a small research team, but by involving hundreds of thousands of citizen scientists, we can actually answer a research question you couldn't answer any other way. Dominic - What to your mind are the real highlights that's come out of the science of the Zooniverse over the last 5 years? Karen - For me, I've been very excited in how galaxy zooo helps us to find interesting samples of rare galaxies. So, the two basic kinds of galaxies are spiral galaxies and elliptical galaxies. The standard picture is that the spirals are blue and the elliptical is red. What Galaxy Zoo has found is really interesting, small but large enough to do studies on, samples of blue ellipticals and red spirals. And they might sound like just intriguing curiosities, but they're not. They actually tell us about evolutionary processes, about how spirals might be turning into ellipticals and how star formations can be turning off in these galaxies. And so, Galaxy Zoo, by providing such large samples that you can find small numbers, it has been a hugely amazing resource. Dominic - Thanks to Karen Masters from Galaxy Zoo. 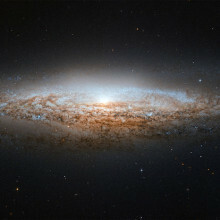 Of course, you can contribute to those projects on galaxyzoo.org or zooniverse.org. I think what I find really inspiring about these projects is that they've been so successful that made research papers where people at home who have contributed have actually ended up as authors on papers in peer review journals, which is fantastic. Chris - So, they should too, because at the end of the day, they're doing the work. But what about if they're young because some journals and I know of one scientist who refused to let his son, who actually made a seminal discovery that led to the piece of work, not being included on the publication because he was only 12 at that time? Dominic - Well, there certainly have been school children I think have been involved in Galaxy Zoo, so that's very good to see. Chris - Pretty good to apply to a university with a publication under your belt already in an academic journal. Now is the time of year when spiders invade our homes as they search for mates. 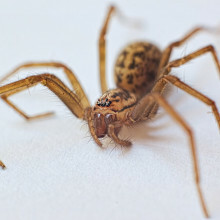 But we don't know a huge amount about why this happens, or which spiders do this; so a group of researchers from the Society of Biology are asking volunteers to snap photos of the spiders they spot to help us to understand how they behave. Chris Smith was joined by University of Gloucestershire ecologist Adam Hart. Chris - So, tell us about this project. What are you trying to do and why? Adam - Yeah. Well, last year, the Society of Biology and I setup the flying ant survey which was a big success last summer and it's run again this year. What we realise is that there's a real enthusiasm for these kind of charismatic but slightly sort of a marmite animals like flying ants. And we started thinking, well, what else comes into that kind of category? And this time of year, we noticed on Twitter last year, lots of people were using the hash tag spider survey and it's a very predictable kind of emergence of these, particularly male spiders roaming around, looking for mates. So, we thought it will be a nice way to capitalise on that enthusiasm and also find something out about it because really, you can't study these sorts of things across the country without having lots and lots of people involved. So, citizen science is an absolutely brilliant way to try and look at the emergence, to try and look at how it maps to local temperature, weather conditions, and that sort of thing. Chris - So, what are the questions that you're seeking to answer with the data that people at home will be generating for you? Adam - Well really, in this first sort of stage, it's almost quantifying exactly what's happening every year. When do spiders start coming out? How long does it last for? Is it a pattern that's seen across the country or is it something that's only seen towards the south of the country? So, it's really at this stage, a kind of look and see, simply because although we know a great deal about how spider venom and the production of silk. We know lots of very fine detail. We actually don't know that much about the more general ecology particularly, when it comes to the timing of these sorts of events. Chris - How will you process all the data because you've got this app, people will use it? We'll hear how Ginny got on within a second. But you'll get all this data coming in with coordinates and pictures, has someone got to troll through all that? Adam - Well, the short answer to that is that I have a PhD student who's helping me out with this. But actually, it's not quite as onerous as it might seem because we set this up so that the data goes straight into a spreadsheet. That spreadsheet can then be interrogated more or less automatically, take the coordinates out and start producing detailed maps and detailed sort of progressions of maps, and animations and things. A lot of it was done for the flying ant survey. So, we're kind of re-using some of that technology and some of that know-how to process these data as well. But yes, it does produce quite a lot of data. What's quite important I think with these sorts of surveys is that we've asked people for some very simple information. Once we've got that, we can start to produce these patterns and maps. Chris - Just give us the web address if you could, if people would like to find out more how to do the survey please, Adam. Adam - Two ways to do it. One is the societyofbiology.org/spider or if you just search for spider survey on Google, you'll get straight to the survey. Chris - Thanks, Adam. That was Adam Hart from the University of Gloucestershire. Earlier this week, we sent Ginny Smith out on a spider hunt. She went to Queens College in Cambridge and she met up with Rebecca Nesbit from the Society of Biology to see what they could flush out. Ginny - Okay, so we're going to have a wander around the older parts of Queen's now and see what we can find. I can see a pipe in the corner there that has lots of webs on it. What have we got going on over there? Rebecca - Absolutely already, I could see there's quite a lot here and it looks these spiders have been allowed to live here for a while which they'll be very happy about. Ginny - What's that? I can see what looks like quite a big spider there. Rebecca - Yes. Now, this looks like the exuviae. So, when a spider grows whereas our skeleton can grow gradually, the spider has an exoskeleton and what it needs to do is in order to grow, it has to shed that skin. This is a skin that it's left behind. Ginny - Okay, so after a bit more hunting, we finally managed to find one of this big house spiders. It's pretty creepy. So, what do we need to do with your app? Rebecca - So, what we need to do is first, make sure it's a Tegenaria spider and identify whether it's a male or female. So, if we take a closer look, what you can see is that although spiders have 8 legs, at the front, it looks like they've got mini legs. These are called pedipalps. What you can see in the males is they look a bit like they've got a pair of boxing gloves on the end of them. That's where the sperm is stored. So, what I can see for this one, it does have those large boxing gloves on the end of its pedipalps, so this one is a male. So, what I'm going to do is first, I'm going to take a picture of it which does involve getting a bit close I'm afraid. Ginny, you're sure you don't want to take the picture? Ginny - No, I'm holding the recording equipment. It's fine. Is it okay if you trap it under a glass before you take the picture? Rebecca - Absolutely and that can often make for quite a clear picture in fact. So, here we go, taking the picture. Ginny - Great! Okay, so you've got a picture of this thing. Now, what do we do to actually send the data to you? Rebecca - So, we have an app and it's called Spider in da House. Once you go to the homepage, you can see, 'enter your record'. The phone should be able to send in the latitude and the longitude, and asks you 'which room was the spider in? ', then we're going to upload a photo. Ginny - And what happens to all this information? Rebecca - Well, we are so pleased so far that we've got well over 3,000 records. What we're particularly going to be looking at is when we're seeing these spiders. And because we see in particular this time of year, when the males become more nomadic, we know that it's breeding season. So, by recording them appearing in our houses, we know when the males are out and about on the lookout for a female. We're going to look at geographical differences around the UK and hopefully, we're going to have quite a few years worth of data. We may be able to look at weather conditions as well. One reason why people get involved in citizen science is to try and help solve problems that they see around them, and one project doing just that is Project Splatter, which tracks UK roadkill - it sounds a bit grisly but the team behind it hope that their data will improve animal conservation in the future. Kate Lamble caught up with one of the founders, Sarah Perkins, from Cardiff University. Sarah - Project Splatter is a citizen science research project that is collating UK wildlife roadkill using social media. So, our citizen scientists are tweeting when they see a squashed badger or a fox, or anything smaller than mouse and letting us know about it. We collate this data and we give feedback to our community of citizen scientists. So, why are we doing it? It's because there is actually no year-round survey of wildlife roadkill in the UK. We have snapshots which have revealed interesting patterns, but we don't know what happens year-round. So, we want to know where the wildlife roadkill is, what it is, and when it happens. And then ultimately, we hope to be able to reduce that wildlife roadkill. Kate - So, what do the snapshots tell us? How much is a problem is roadkill for the UK's wildlife? Sarah - Well, we've only been running since February of this year and we hope to run for another 2 years. But in the 6 months or so that we've been running, our citizen scientists that we call Splatter Spotters have reported 3,300 data points to us. So, we know that it's quite a problem for our UK wildlife. Our top most spotted animals include the badger, the rabbit, the fox, and the hedgehog has just started to appear in there. So, we know that some of our favourite mammals are up there in the top species that a road killed. Kate - You mentioned hedgehogs and badgers there. Those are relatively for UK wildlife quite large animals. Is it the big ones that tend to get spotted? Do we tend to miss the shrews and things like that? Sarah - Yes, we may well do. The nice thing about running this as a citizen science project is not only do our Splatter Spotters report data to us. They question us. So, on Twitter and Facebook, we've been asked questions, "Hey, what are you guys going to do about observer bias?" aren't we just reporting the things we want to report? That could be, so there could be some observer bias. So, what we have to do is back that up with work by some of our research scientists where we are actually driving long routes and verifying which data we see. And looking to see which species aren't reported. Kate - Why do you think people get involved in these sorts of projects? Why are people so keen to share their data and what they see with scientists? Sarah - Yeah, it's interesting. I think people see that by reporting something to us, that it's potentially very sad driving past a dead fox on the road. Nobody really likes to see that. They're turning something rather sad into a positive, in that we might be able to mitigate against some of those roadkill death. So, people are really interested in seeing what we can do with those data. Kate - You mentioned you've got 3,000 data points and that things like hedgehogs are just starting to appear. Why would things like hedgehogs being killed on the roads, not be a constant year-round? Sarah - Well actually, we think there's something happening with hedgehogs this year where we've had this quite nice dry summer. Hedgehogs may have found it difficult to find food. What we do with our reports, every week, we feedback to our community of scientists by doing something called the Splatter Report. It was only in the last 2 months that hedgehogs even came in the top 5 of that Splatter Report. So, we've really noticed this exponential increase. And so, we think we're picking up this behavioural pattern where they're having to search for more food. That's putting them into contact with the roads more frequently, they're ranging further, and that could be what's producing the greater number of roadkill seasonally. Kate - Is it a good or a bad sign that animals are being seen on this Splatter Report? I mean, I know it must look bad, but does an increased number mean that there are more of them about in the first place? Sarah - It might do, but there are a lot of wildlife surveys that go on as well. So, we have quite a good idea of the abundance of some species in the UK. With the hedgehogs, we know some great work by the People's Trust for Endangered Species that hedgehogs are actually in decline. We used to have in the order of tens of millions in the UK and now, we've got below a million. So, the fact that we're seeing more on the roads isn't necessarily an indication that that species is increasing in abundance. It could be that it's actually more threatened. Kate - If it's a potential indicator of diminishing population, what can we do? Can these reports in some way help us feed back into the loop of conservation? Sarah - That's what we hope. We run this as an open database. So, anybody who's interested in the data can contact us and we will send it. So currently, we do send our records to biological record centres and if the Wildlife Trust's are interested can have data. The birding organisations and a lot of the badger groups are interested in our data too. And actually recently, one of the badger groups contacted me because if they get a female badger in the spring that is found over on the road, their volunteers will immediately go out and search the area and look for the badger cubs to rehabilitate them because of course, without the mother, those cubs won't survive. You don't need a PhD to do science of global significance; that's according to microbiologist Andy Whiteley. When he was in the UK he mapped the microbes hidden in the soil nationwide by hiring scientists to send him samples from across the country. But when he moved recently to the University of Western Australia and wanted to repeat the project he knew it was never going to be possible without some help from the public; so he's started a project that launched this month called Microblitz. Chris Smith met up with him to discuss the project. Andy - MicroBlitz is basically a science for the 21st century. We're looking at what microbes are hidden away in the soil and where are they? This is important for a couple of reasons. The first one really is that when plants grow, and basically, we have productivity above ground, half of that cycle is actually below ground. So, these are the microbes that are sitting there in the ground that are helping. And it's really about asking the question, where are they and what are they doing? And these microbes are actually really diverse. So for example, when you put your footprint down in a paddock or a field, there's about 10 trillion individual bacterial cells in that. Andy - 10 trillion in that footprint and about 10,000 species of bacterias where we think - that's an estimate and it's probably an underestimate. So, this whole world of biodiversity is hidden away below the ground and this project is to empower the general public's helpers to take samples out in their natural environment to help work out in terms of the microbes, what's there and where are they? Chris - If I put my foot down on the beach here because we're looking at the Swan River in Perth, will I get different bacteria in the soils beside this river compared with somewhere else in the world? Andy - We think there are some common bacteria that are present all over the world, so globally distributed. But yes, in terms of different habitats and different environments, we do see different species and different relative proportions of those species as well. So, there are what we call biomes of bacteria. 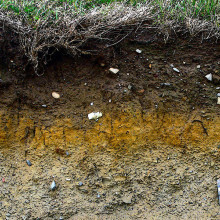 There are certain types of bacteria that always associate with soil. Certain types would, for example, associate with sandy beach wave standing and for example, certain types of bacteria that will associate with the waters actually flowing down Swan River just in front of us. Chris - So, what gave you the idea for doing this project in the first place? Andy - The original mapping part of the project was a project that was happening in the UK in 2007 when I worked at the Centre for Ecology and Hydrology. The project when it came about asking the question, okay, we have this landmass in the UK and this has very different uses in terms of agriculture and various other grasslands and things such as that. And asking the question, "Well, do those different uses of the landscape actually change the microbial communities that are present within the different types of soils and landscapes." Chris - So, if I have farmland that's been intensively farmed over many years, I get different bacteria there than for instance, if I've got a lawn in someone's garden? Andy - For sure. We think naturally that we are manipulating some landscape quite a lot and so, the original idea really was, "Well, let's just go and sample out in the UK. So, we have this survey which piggybacked a survey called Countryside Survey 2007. That was the first time anybody was trying to do a microbial map of a country. Chris - So, how did you map Britain? Did you get someone to send in samples of soil from the entire country that you could look at with DNA in there then? Andy - It was actually a formal scientific survey done at 5 kilometres resolution. So, it was people trained as scientists who actually went out there and take samples for us. The problem came in terms of taking that map that we did in the UK and trying for example to do in Australia and Western Australia especially is the size and scale. So, it's 22 times the size of the UK and it's also 1/20 of the population. So, it would take us 60 - 150 years to actually do this similar effort of sampling however here. So, that's where the real idea came to make it into a citizen science project where we engage with the local public to help us out with a large scale mapping. Okay, so we're down to about 10 centimetres. Essentially what we do is dig straight down that side of the soil and put a strike into - we need about 300 grams of sample. That's important because it gives us enough sample for the molecular analysis. But also, it gives us enough sample for chemical analysis. So, measure things like pH, carbon. phosphorus sample. Once the sample is mixed, we'll remove anything that's large in terms of roots or rocks or shoots. So, there's a bit there that we're just going to throw away. The first thing we do is load one of the tubes for DNA extraction and analysis. So, these are very small, screw top 2ml tubes. Half a gramme, there we go, screw the top back on. And there's a second which is our backup sample. So, this will go in the freezer. If the first extraction doesn't work for whatever reason, we have a backup sample. So, we have about 300 grams of soil in the back, we have 2 tubes which are the DNA extraction tubes. In the meantime, while somebody is doing this, somebody else can be filling in some of the shipping form which essentially tells where a sample was, time, date, everything then goes into the pretty paid nvelope. There you go. You just become MicroBlitzer. Chris - That arrives back in the laboratory. How do you then process that and marry all of these data together? Andy - Samples arrive back in the laboratory. They are first of all determined for dry weight. So, we weigh a portion of it and then basically weigh again. So, that gives us moisture content which we think is quite important in samples. The samples then go into a freezer. So, we store them all frozen until we basically take them out as batches of say, 96. Once the DNA is extracted then we use various molecular biological means which is PCR to work out and sequencing to work out the microbes are present in the sample. Chris - And because you are keeping a version of the sample in pristine condition in the freezer, I suppose that in the long term, if you have further questions subsequently you want to ask of that sample, you can go back to it and ask those questions as technology and science evolves and moves forward. Andy - Exactly. One of the key things on MicroBlitz is not just the data that we get back from it now. It's actually the legacy in the future. So essentially, we have a biological bank of samples which is a snapshot when we did the samples. As different questions become more relevant, we can always go back to that bio bank and ask those questions again without having to do the extra effort. Chris - Andy Whiteley from the University of Western Australia and microblitz.com.au is the web address to find out a bit more. 47:05 - Can an App Make You Happy? Can an App Make You Happy? Now with the projects we've heard about so far, the scientists get the data but what do you at home get? George - Mappiness is a project that's interested in mapping people's happiness in relation to other elements of their environment and it does that with an iPhone app that people download for free. They get beeped twice a day, much like getting a text message, and then we ask them questions about how they feel, who they're with, what they're doing. It takes about 20 seconds. Then because we get the GPS coordinates from the phone, we can also join that with various kinds of information about the environment they're in, weather, land cover, habitat type, air pollution levels, and so on, and build really detailed models of what it is that contribute to people's happiness. Chris - What sorts of questions are you able to ask doing this that you couldn't have done with a traditional scientific study before the age of the Smartphone and citizen science? George - The questions that we ask are fairly simple. You could ask those in traditional ways, but the beauty of this is that we manage to reach a lot of people on a lot of occasions affordably. And that we get an objective measure of where they are, so that we can then add in objective information about the environment. So in the past, you might have relied on saying, 'Well, how happy do you feel, and is the environment where you are nice?' But unfortunately, those things might be correlated just because optimistic people say they're happy and they say that they're in a nice environment. And therefore, the relationship is less convincing. Chris - What about the recruitment process because you're automatically selecting for an audience subset, aren't you? They've got to be people who own a certain species of phone. You're using iPhones. Therefore, they might be a certain subset of the population who are rich enough to do that, who are young enough to operate one, and also, motivated. George - Yes, that's absolutely true. If there's one biggest limitation of this study, that's probably it. I think how much that matters depends on what question you're interested in. So, if you're mainly interested in income, it might be a big problem that you don't have anyone on very low incomes. So, it is true that our sample are richer and better educated, and younger than the average person. I think that problem will get less over time as more and more people have smartphones, and hopefully, if we're able to support a wider range of smartphones and maybe some cheaper ones too. The self selection issue is also interesting, but we do try to make sure that we don't kind of say, "Are you a person who loves green space? Then sign up to Mappiness." We don't talk a lot about our hypotheses during the study or when we sign people up. And so, we hope that we're not getting too biased from that. But as I say, that is the biggest limitation with this. But it's also how we're able to reach enough people that we can say something meaningful about the hypotheses that we have. Chris - How many people are taking part? George - From day to day, we have about a thousand people I think at this point and the number that we've had over the course of the study which has been running for about 3 years now is getting towards 60,000. Chris - That's a stupendous number, isn't it? So, what sorts of trends are emerging? What are you finding? George - Our main piece of published research that's come out so far says that, as you might expect, people are significantly happier in natural environments than they are in cities. And that's after we control for other things that might go along with being a natural environment such as, it being a nice weather, it being a weekend. And you might say, "We knew that already. Everyone knows that green space is nice." But I think the key thing here is to be able to put really hard numbers on it. And so, to prove statistically that that's the case, and also to say, "Well, how big is that effect?" We can say actually that the size of that effect is very much on a par with other things that you would to expect make people happy such as being with friends or say, watching television rather than doing the washing up. Chris - So, are there any bits of Britain that you can say, those are real hotspots for being really, really happy or conversely, maybe being less happy? George - When we split up the country then we find that some places in the far north of Scotland seem particularly happy and that's true if we include only people who live there and not people who might be visiting. We found that generally, Slough comes bottom which is almost too intuitive in a way, given that there were programmes making Slough happy and so on. The problem generally with doing this is what geographers call a modifiable areal unit problem. So, if you cut the country into different kinds of slices, you might get different answers and that's why we haven't published the happiness map so far which would be an obvious thing to do otherwise for project called Mappiness. Chris - Most scientists say that a very big proportion of the cost of doing research like this originally was the data collection. You're passing that burden onto the people who take part in the study. What are they getting out of it in return? George - There's potentially an altruistic motivation where people like to be contributing to research that might have results that are of social value. But of course, there is also an individual motivation, to get some really detailed information about your own happiness so you can look graphs, you can download maps. And so, people get that data back and to some people, that's really valuable. Actually, I just think that being asked to think about your happiness even if you never download the data, does make people more aware of how they feel and potentially also over time, puts them in a better mood. Chris - I think those pretty robust data that shows that if you do that, you do enjoy more well-being if you're asked to focus on the things that you're happy about. George - That's right. And in fact, that's certainly what we find. It's important in fact, say, we're trying to look at trends across the whole country. 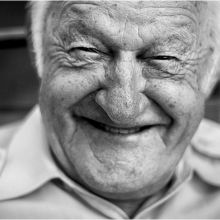 It is very important that we control for how long people have been taking part at any given moment. Obviously, as the study goes on, more people have been taking part for longer. Otherwise, we get misled by the fact that people who have been taking part for longer report happiness that's significantly higher than people who've been taking part for a short period. There may also be an element where people get more fed up with the study over time. Therefore, when they've been taking part for a long period, most of the time, they're not very willing to take part - only when they're in a good mood will they give us a response. But I certainly hope and as you say, existing evidence would seem to indicate that the people will be happy over time from taking part in this sort of study. 53:03 - Is there a safe way to consume tobacco? What are the relative risks of e-cigarettes, patches, snus and nicotine gum? Is there a safe way to consume tobacco? David N. - Hello. My name is David Nutt. I'm a Psychopharmacologist from Imperial College in London and I'm also Chair of the Independent Scientific Committee on Drugs. We've recently done quite a detailed analysis of the relative harms of different nicotine- and tobacco-containing products. We use this new technique of multi-criteria decision analysis. This is our analysis to try to understand relative harms of drugs and to make more rational, sensible decisions throughout what we do with drugs, including tobacco. Hannah - Well, he's perfectly placed to provide the answer to this Question of the Week then! David N. - Some people often say that snus, as it's known in Sweden - and it is popular in Sweden, is that safer than cigarettes. Recent data suggest that snus is about 20 times safer than cigarettes. There are many reasons to this. The first is, it's actually a specially prepared form of tobacco that has taken out most of the carcinogens that are added to tobacco and cigarettes to make them smoke better. 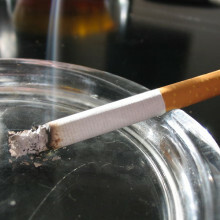 The second, is that smoke does not get into the lungs, or carbon monoxide that damages the heart. Hannah - So, snus is considerably safer than smoking cigarettes; but what about electronic cigarettes, which vapourise nicotine and deliver it to the lungs? David N. - So, these also look to be very much safer than conventional cigarettes and, possibly, even safer than snus itself. Hannah - And what about the passive risk of e-cigarettes for those around the smoker? Next Why does the Universe Spin?